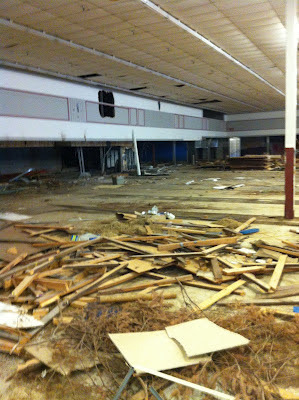 Rounding out the four Safeway stores that died as AppleTree in Bryan-College Station, today we have the fourth. 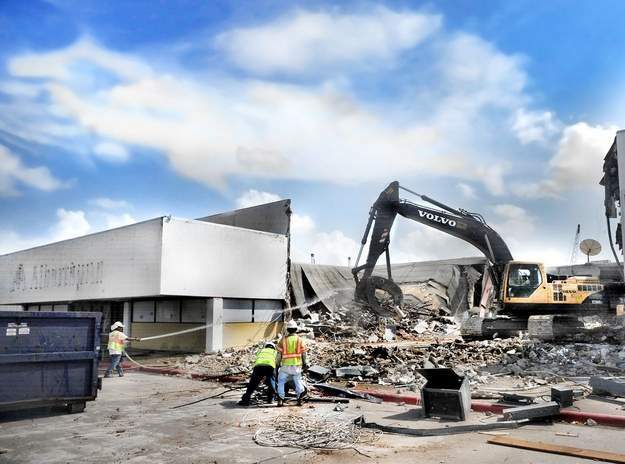 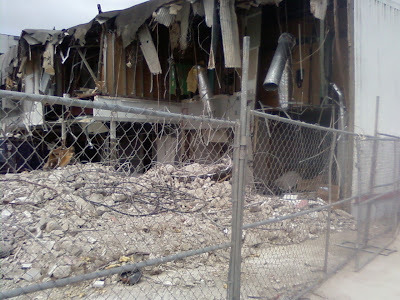 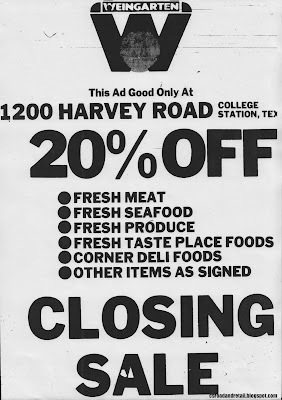 This was one of the last group of Houston Division Safeway stores to be built, and the very last AppleTree store to close. 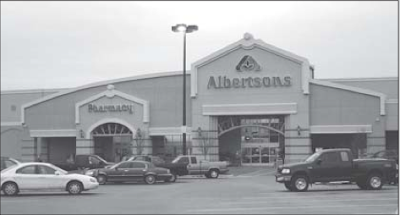 Read more about it on Safeway & Albertsons in Texas Blog. 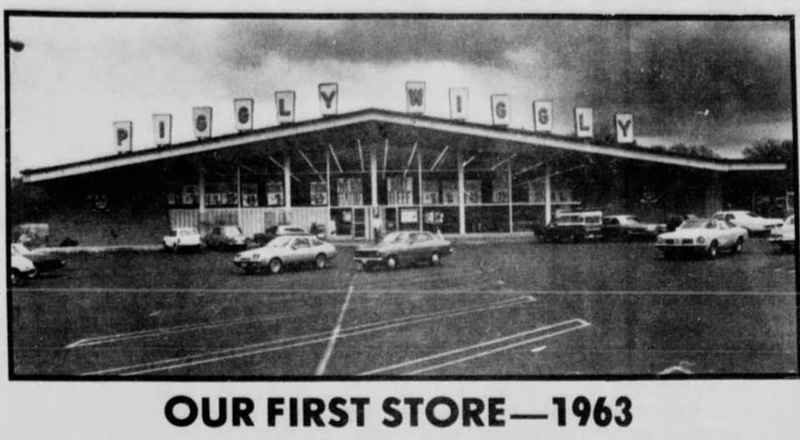 This is the old Weingarten building, colloquially Weingarten's (which was on the sign). 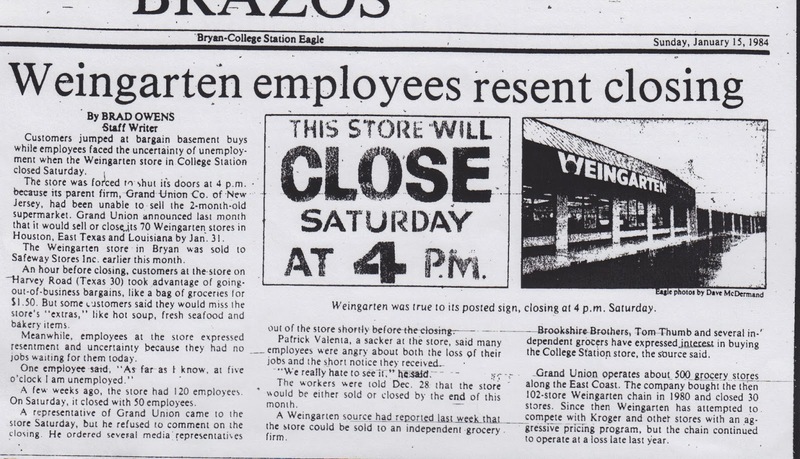 Unlike the companion College Station store which lasted no more than around 2 months, Weingarten's here lasted for about three decades before it changed hands and closed less than a decade later. 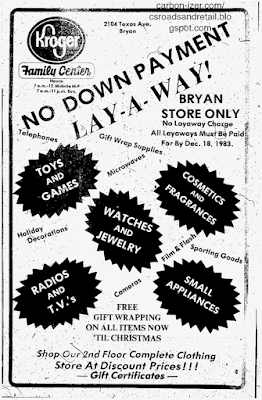 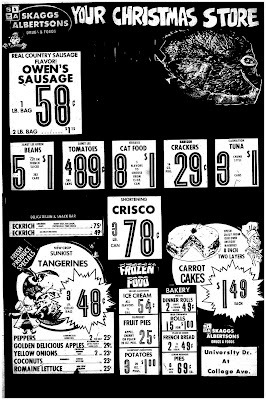 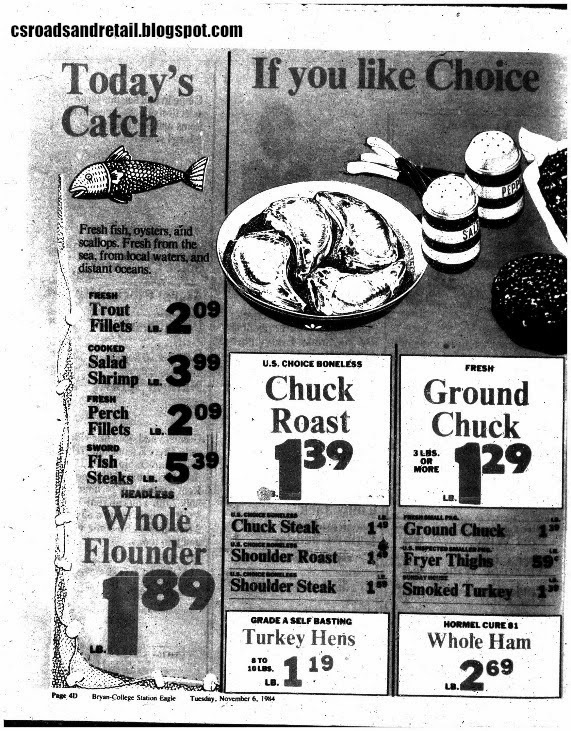 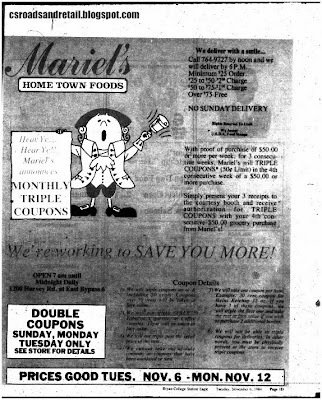 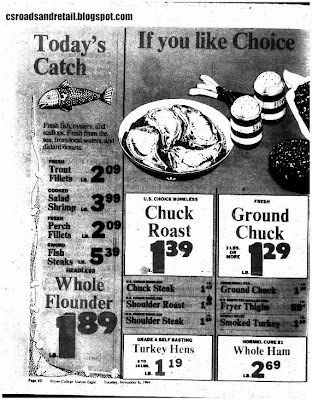 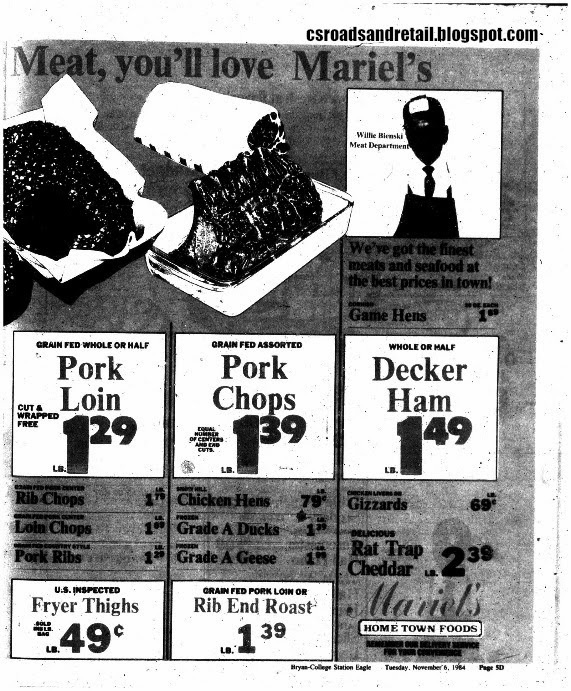 Opening on September 1, 1954, the 25,000 square foot supermarket was not only the largest in Bryan and featured a variety of things unusual at best though may seem commonplace today. These included a self-service deli, a general merchandise department "where the housewife can find everything from work clothes to dresses to cooking equipment", a drug and tobacco department, "magic carpet" automatic doors, a lunch counter, a children's daycare area "where they'll find comic books and other things to keep their attention", and a full-service butcher department. 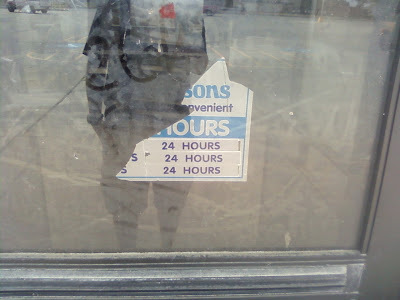 Courtesy of John Ellisor, check out the article from which these great facts were derived from. 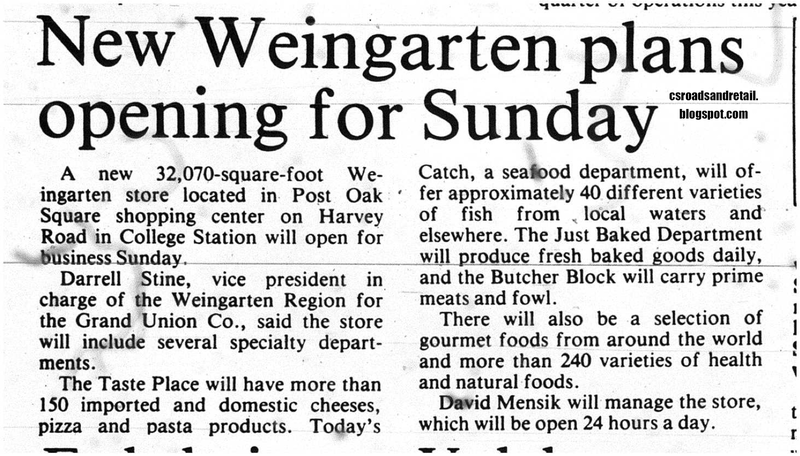 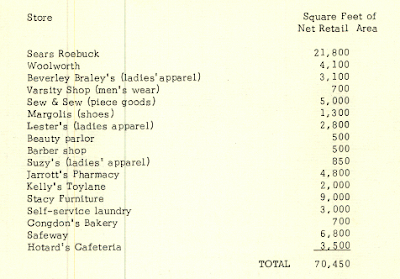 While I can't imagine much general merchandise fitting in an area that seems pretty small itself for a grocery store, nevertheless, Weingarten stayed in this spot for nearly the next three decades before Weingarten's owners at the time, Grand Union, decided to divest the division. 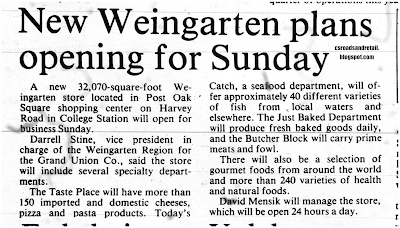 The Weingarten was unceremoniously sold to Safeway in January 1984 but I don't know if Safeway rebranded the store or closed it and reopened it under its own name. 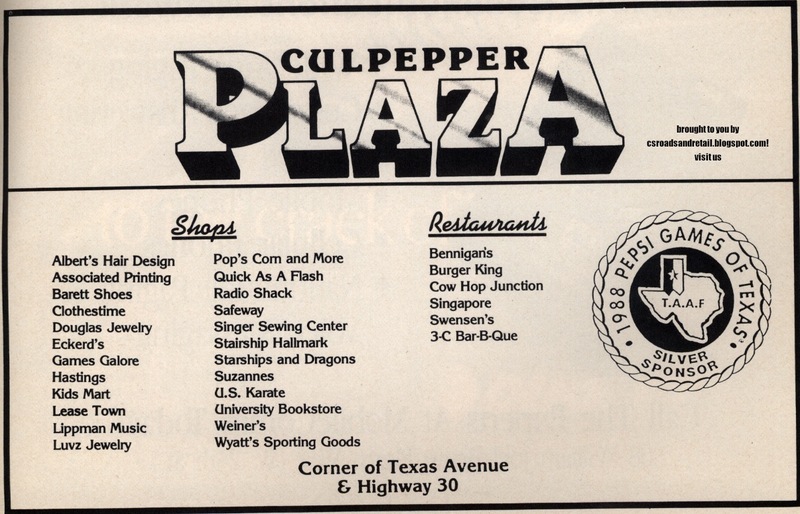 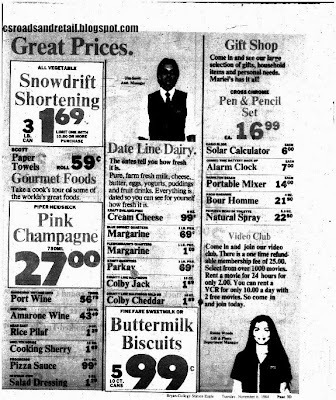 Confusingly, the store remained open as the Safeway store at William Joel Bryan and North Texas Avenue did so (just a mile north) until that store moved in 1986 to Culpepper North (which would later be the last AppleTree store, ever). 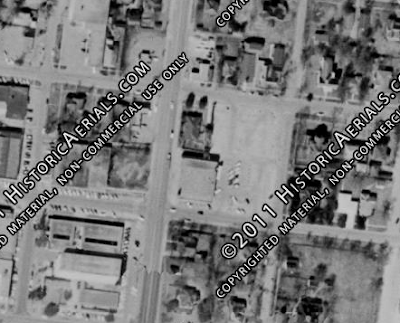 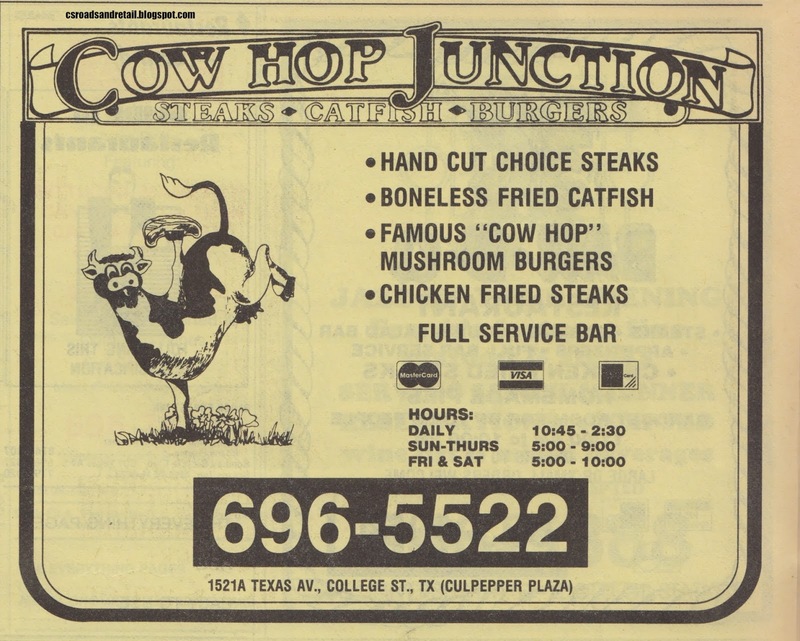 Conversely, the one at this location, 1010 S. Texas Avenue (originally 1010 South College Avenue) was one of the first to close. 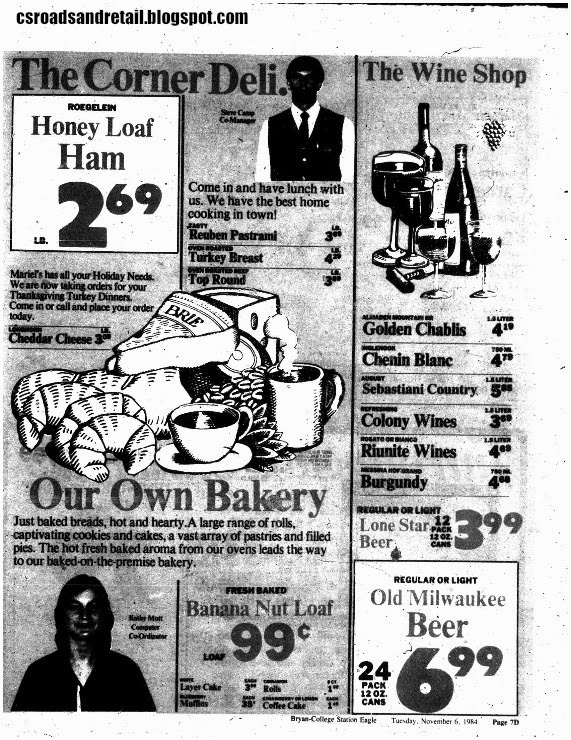 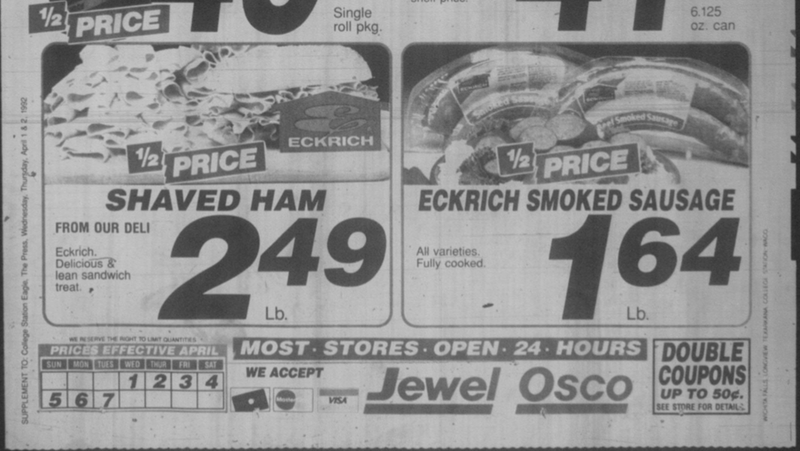 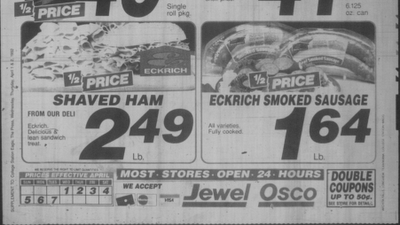 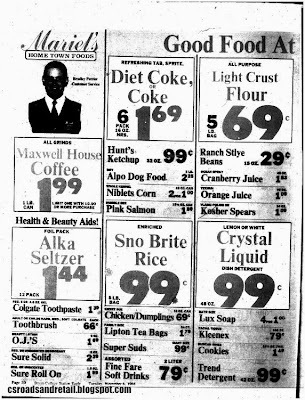 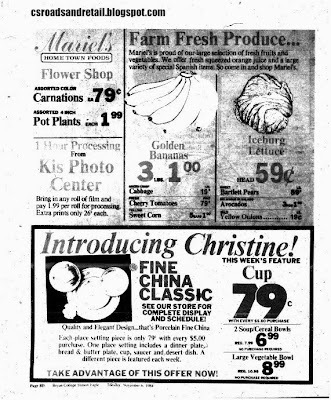 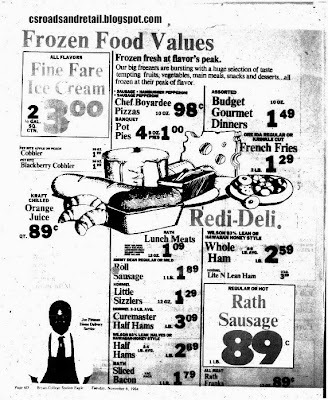 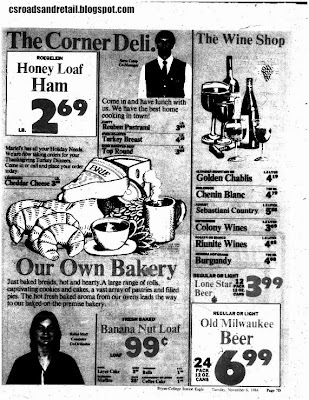 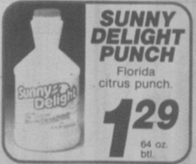 When I first discovered the "fourth AppleTree", revealed by a January 1992 article about the bankruptcy of the chain, I erroneously believed that it was Safeway at Texas Avenue and WJB, which wasn't quite correct. It was this one. 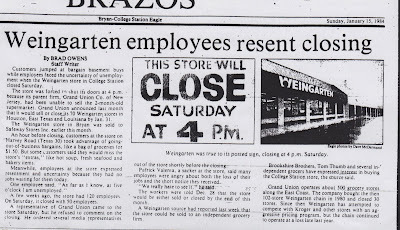 It became an AppleTree in 1989 and closed in 1992 as one of the initial (second round of 5) stores to close in bankruptcy. Later referred to one of the "dogs" when Richard Goeggel, Vice President of AppleTree after it shrank to half a dozen stores, the store would later be reused, first as Williams Furniture Company (see comments), then others. 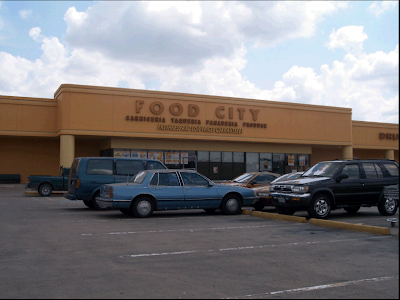 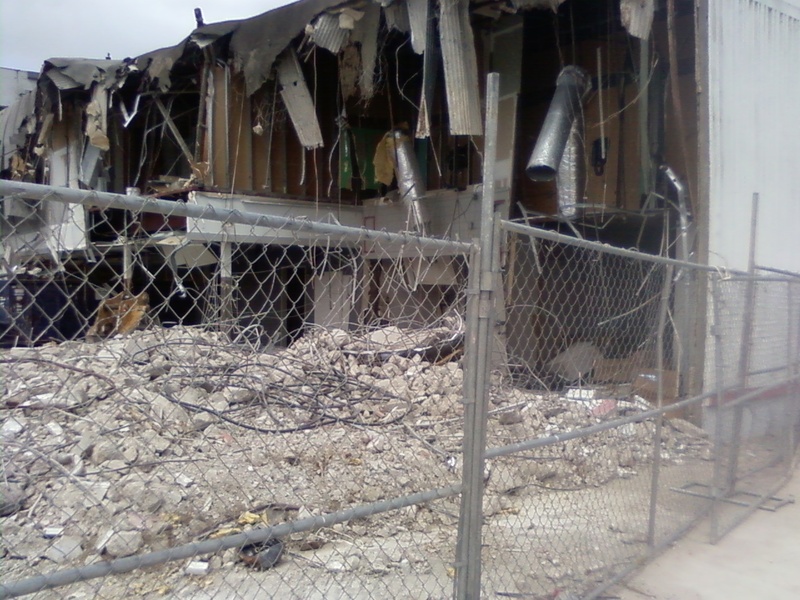 Part of the store is used to host 1016 S. Texas Avenue, a space used as a nightclub. 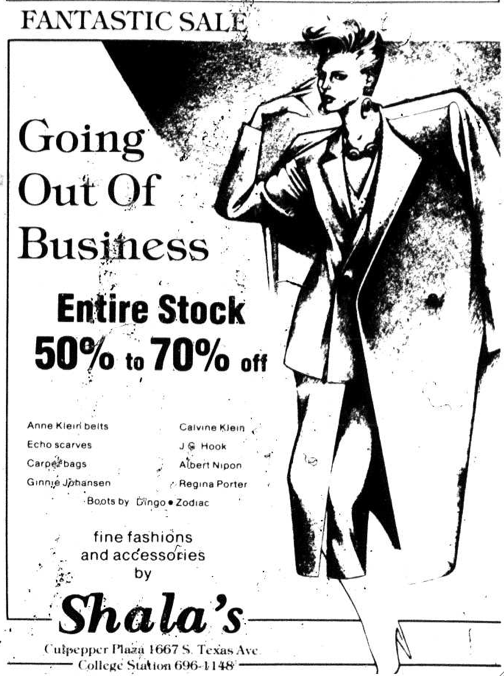 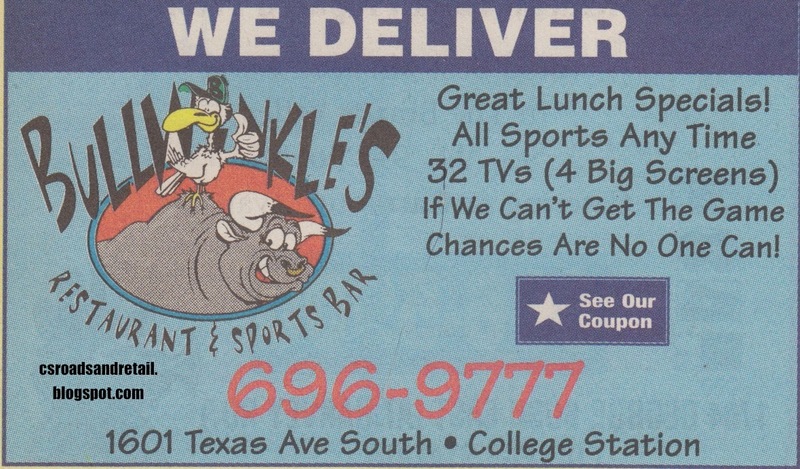 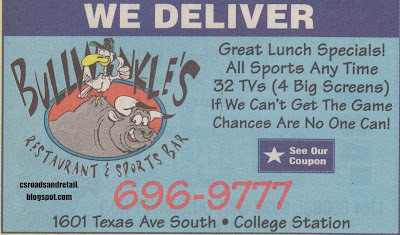 Some basic Google searching shows that there was "Prime Time Nightclub" and "Whiskey River" recently, the latter predating the former, but not by much, but now it's Rockies (full name: "Rockies The Canyon") moved from its long-time spot at Post Oak Mall. 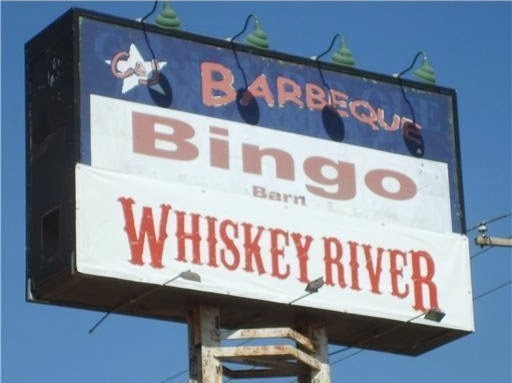 1018 S. Texas Avenue has been Bingo Barn for years, and at 1010 S. Texas Avenue, C&J Barbecue hangs off of the end, which I didn't get too good of a picture of. 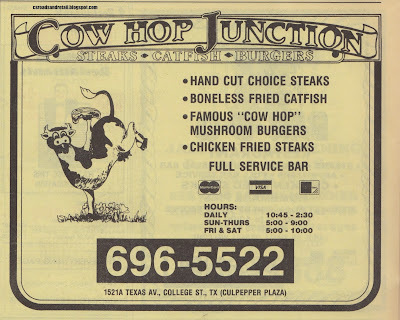 Note that despite the visible "old" C&J logo above, it's not the original location--that's on Highway 30, when it was a combination store/restaurant (the store section was dropped in the late 1990s). 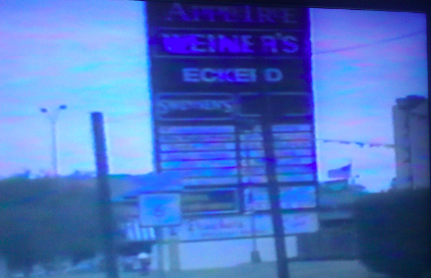 The pictures are bad because the sun was setting and I was taking it out of the car window. I want to make another return trip to it, see if I can find more things about it. 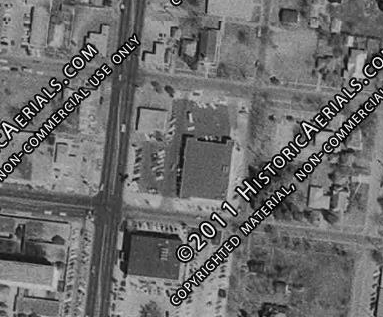 Mysteries abound still: as shown by the gallery linked above, there's a chimney in the back (and not on the C&J BBQ side either) and a lack of modern loading docks. 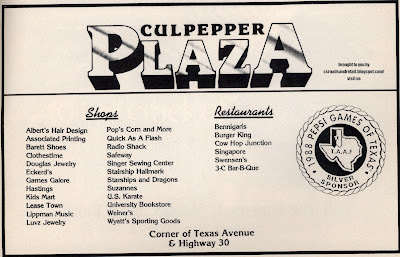 I wondered if it had a railroad spur at one time, and that may be actually the case (a spur definitely ran through the area where Advance Auto Parts is, just south of the store). After all, trucks weren't as commonplace in 1954 as today, and shipping things from Brownsville sounds awfully harrowing for trucks in 1950s-era highways. 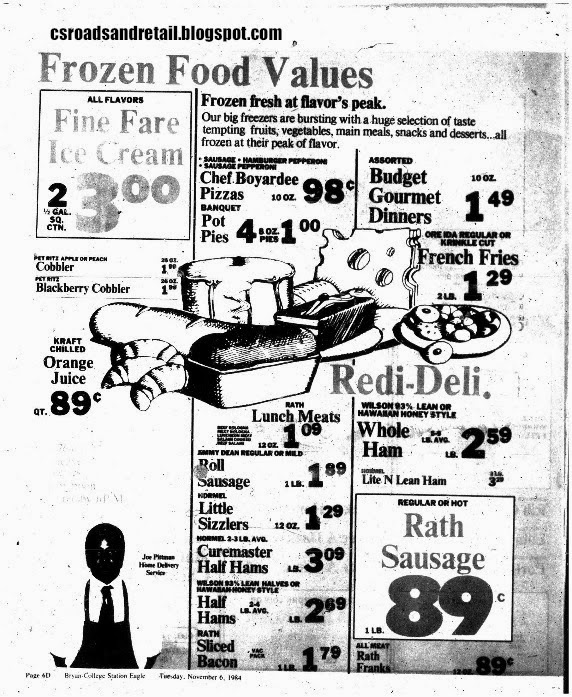 But I don't know of any grocery stores in the 1950s that actually had railroad spurs. If anyone knows more about this store, such as that.